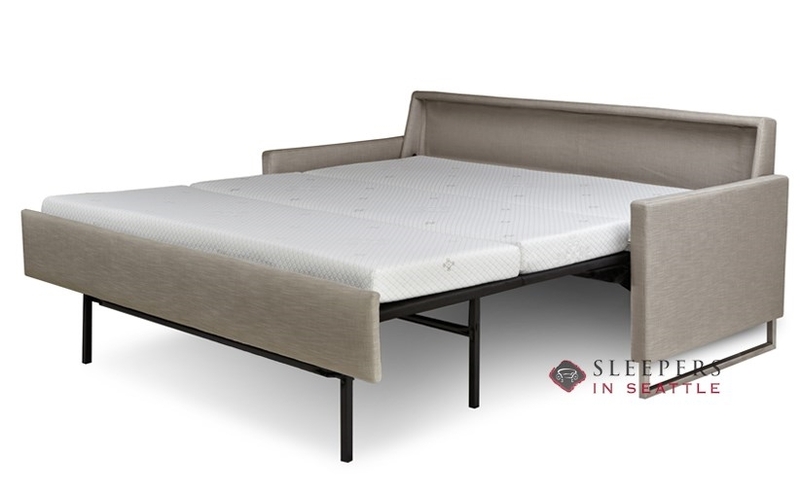 Previously the Breckin, the new and improved Brandt Queen Comfort Sleeper pairs sleek style with the exceptional comfort American Leather is known for. 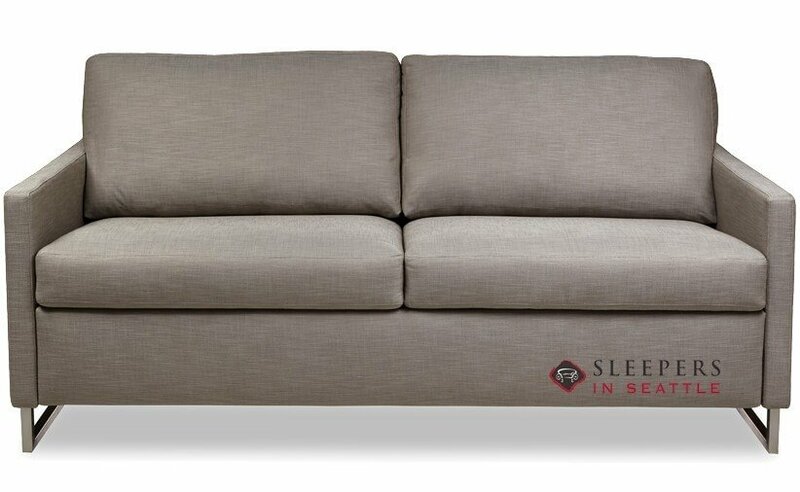 A Generation VIII High Leg Comfort Sleeper, the Brandt features improved pitch and deeper, more comfortable seating. The Brandt’s new streamlined design does away with velcro and scalloped cushions and replaces color match flaps with fabric and UV printing. Compact features and metal feet bring the clean lines of the Brandt front and center. An exceptional sleeping mechanism —this comfort sleeper is a welcome addition to any room. To be honest, I've never been a big fan of sofa beds. I know, a sacreligous thing to post on Sleepers in Seattle. But in all my previous experiences, they've been overpriced and uncomfortable. Fortunately, I happy to announce that this sleeper is different. 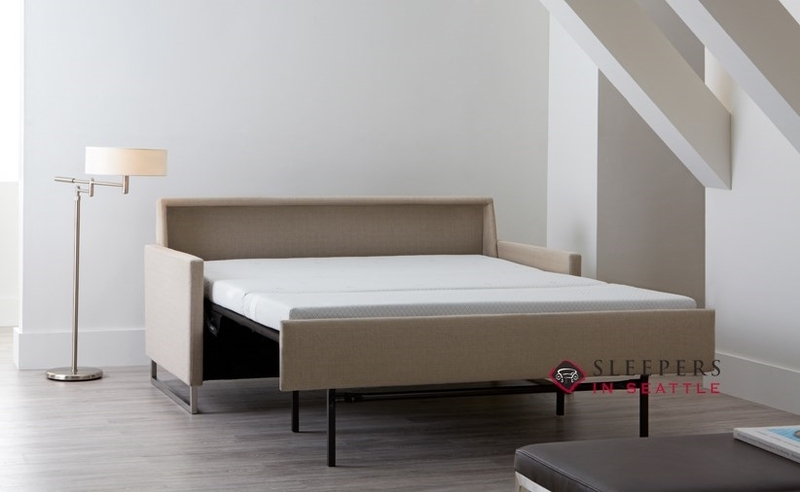 The comfort sleeper is... wait for it... comfortable! I actualy slept on this model at my brother-in-law's house and was pleasantly surprised. A few months later, my wife suggested that we buy a sofa bed. 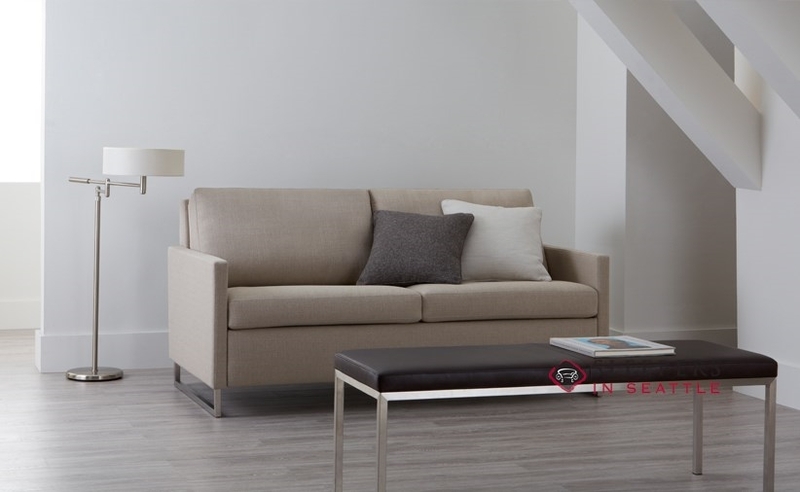 Instantaneously I agreed, but said we had to find the same model I had slept on previously. So we did, and I couldn't be happier with the purchase. Thank you to Sleepers in Seattle, and you guys seemingly owe my brother-in law a thank you as well.